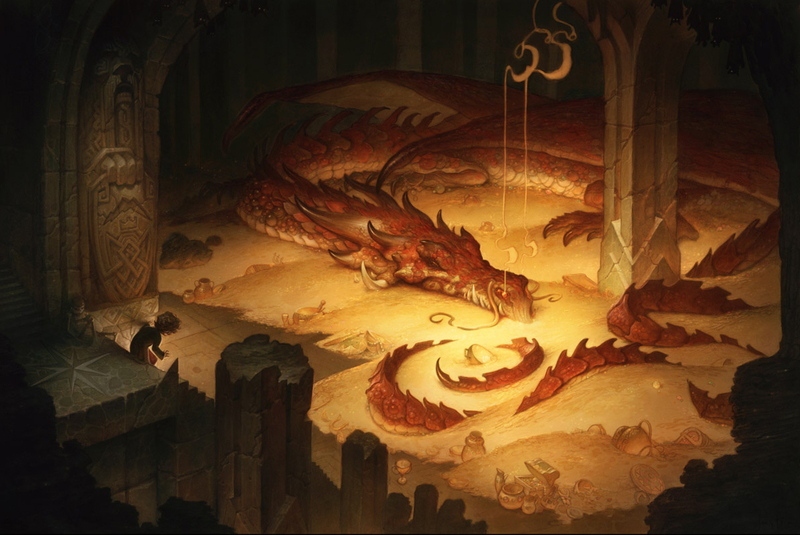 The dragon’s hoard is a mountain of gold pieces. Who doesn’t want a mountain of gold pieces? It’s a fairly safe assumption that almost every player wants a mountain of gold pieces. Given that the hobby grew out of fantasy stories, and that piles of money are a staple of the genre in both fiction and visual arts, money is a very common element of games, for better or for worse. What’s not so safe an assumption is why each player might want them or what each character might do with them. Most often, money is used as a type of progression currency. It’s the stuff with which players buy more “features” for their characters. 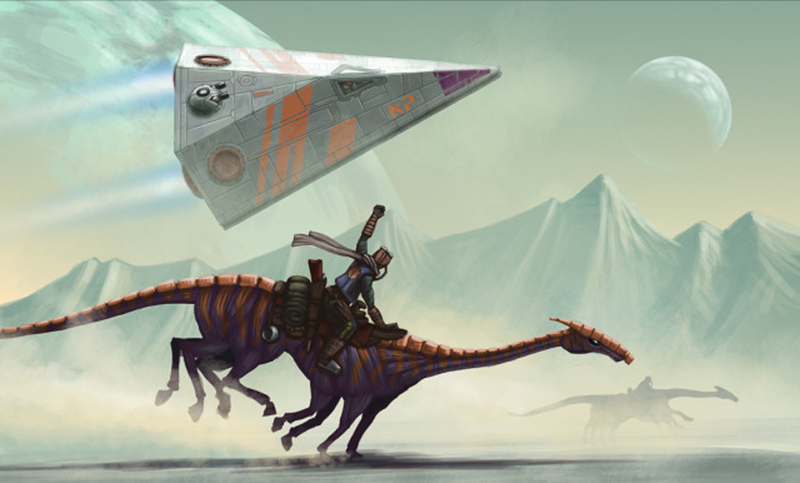 Whether weapons, magic items, starships, armor, or what have you, money represents a sort of wild-card approach to improvement in the game. The problem with money is that where the player spends it doesn’t necessarily translate into what’s happening in the game. Money is a sort of carte blanche for general improvement of one’s character. What does your character want to do with the money he collects? Adventure to get money to upgrade your gear so you can undertake more perilous adventures to get more money to upgrade your gear…. But once your character has all the stuff that’s in the book… what then? When your character doesn’t need another sword or blaster or cyberdeck or armored SUV, what do you do with the money that’s accumulating in her various accounts? Video games see this problem frequently. Without finely balanced economies, the money inputs outpace the money sinks, and characters simply sit on wealth because there’s not enough for them to spend money on. And player retention in video games drops once the player feels there’s no more “content” to consume. Once the player has the best available gear, what’s left for her to do? Players almost always migrate to a different game when the game offers nothing more to “get,” because the player has been trained to see acquisition itself as the metric of success. In a tabletop RPG, a good GM can account for this. A player spending money is very much like a player taking a feat or increasing a skill — it’s a way for a player to say, “I want to do this, GM, so please notice what I’m buying.” In most cases, though, other game mechanics exist for bringing those abilities to that character. Leveling systems, experience points, magical items, access to new equipment and the like all serve for a more focused increase in player character competencies. Such being the case, money is a less effective way to acquire a magic sword, say, than going on an adventure in which the reward is a magic sword. Most roleplaying games handwave away or bundle the less-glamorous aspects of everyday life. Things like rent or mortgage costs (assuming the PCs aren’t murderhobos), access to food, and general living amenities and utilities are absent or abstracted in most games. And for good reason: They’re not good vehicles for representing the elements of adventuring, heroism, or many of the themes that provide the essential experience of a good game. But many games still dangle cash as a material reward because it speaks to our modern mentalities. This is why the earliest versions of D&D assumed you wanted to build a stronghold. Traveller often started the players out in debt, with a share of a ship that hadn’t been paid off. These aspirational sinks were built into play from the beginning, proposing a goal that would almost always underlie the player’s decisions. Other games, like Victory Games’ James Bond 007 and most of the World of Darkness titles, don’t bother with money outside of the theoretical. Specific amounts of money just aren’t important to the themes the game proposes. Some games require the players to keep a close watch over resources consumed while on adventures. In games where resource consumption is a key component of the game — old-school fantasy dungeon crawls are a great example of such — every arrow and foot of rope is a critical asset that may make the difference between being overrun by orcs or having to leave the cleric at the bottom of the pit. In practice, though, these sorts of small-scale purchases, especially for things like supplies and sundries, often serve only to create minor bookkeeping tasks that aren’t really very engaging. While minding these resources can certainly provide mounting tension, the gameplay becomes more provisioning than roleplaying, and much of it is guesswork. Many games also assume an availability of problem-solving effects that runs counter to the dramatic presentation of the game. This recently came up in my Belluna Pathfinder campaign. On the party’s way back to the city at the foot of the mountain megadungeon, werewolves ambushed the them and the bard found himself afflicted by the curse of lycanthropy. However might the players overcome this heinous turn? By spending 375 gp. After all, Pathfinder assumes a ready availability of magical items, especially consumable ones, and the reward structures for the challenge ratings of encounters are built to offer a quantity of either those magical items or money (or its equivalent). So the dread horror of lycanthropy is a non-issue. Once the players make it back to the city, they just find a cleric, pay his fees, and forget the whole thing ever happened. The same thing happened when the party’s cleric had been turned to stone during the previous session. Pathfinder makes no illusions about this. It plainly positions itself as a game of managing resources. For the GM’s part, sure, it’s possible to say, “There’s no one in the nearby metropolis who can scribe that scroll for you.” It’s more effective to make addressing the troubling issue part of gameplay itself, however. Thinking endogenously, going on a quest to remove the curse creates more play. From a purely selfish point of view, creating a game session in which the players address the problem likely yields more progression of various types. All the GM accomplishes by assessing a fee-to-solve money sink is to take away some of the very reward the players earned previously — and some of it likely came from the encounter that generated the curse anyway, making for a dissatisfying sunk cost. When I run games, I encourage players to imagine a bigger picture objective for what they want to do with adventuring proceeds. I’m generally moderate to stingy with cash rewards, but tailor frequent’ feature progression rewards to the individual characters. Encouraging the players to express their characters’ greater goals goes a long way toward making those characters memorable, as well as helping me to understand their motivations. I’ve talked before about intrinsic rewards, that gameplay is its own reward, and that other rewards point back into the game. Money works well as a sort of low-intensity reward that can be collected at a variable pace without risking the players’ investment in the game itself. Particularly with games that rely more on proactive players, setting one’s own goals can be extremely satisfying, allowing players to determine how important monetary rewards are to them, if at all, which generates both relatedness and autonomy. If the monk doesn’t care about money, that means a greater share for the fighter and wizard, who want to build a ludus and a laboratory, respectively, but no one misses out on any of the game rewards they deem primary (whether narrative or feature). In games with more abstracted monetary rewards, like Vampire, the general idea of money is supported by the system more than any specific amounts. The Resources Background, should one player choose to cultivate it, represents a more general access to money, and the focus of the game shifts to the resource more important to the vampires: blood. Of course, that’s a whole separate input-and-sink economy, and it comes with a built-in morality cost….